Today we're wrapping up ladies week with some fun accessories. 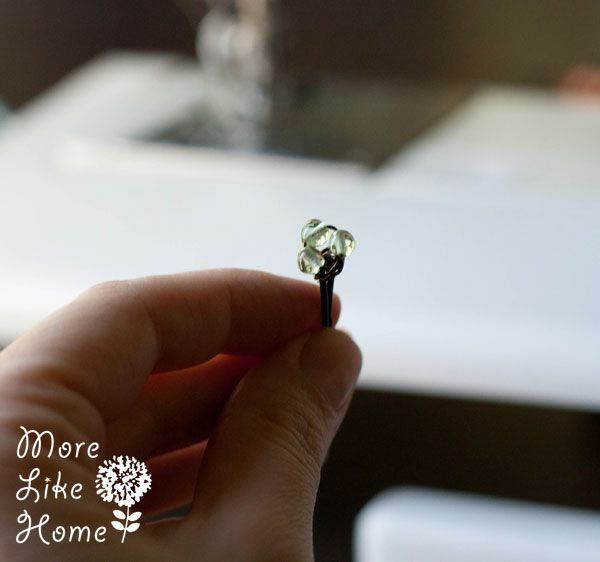 This is another one that is super easy to make and great for last minute gifts! It's actually two projects in one because we'll be making fabric headbands and beaded bobby pins for a hair styling gift set! 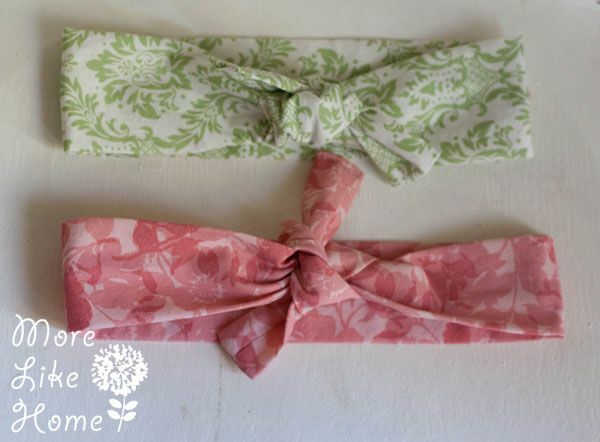 The headbands are nice and wide and they tie in the back so you don't have to mess with elastic. 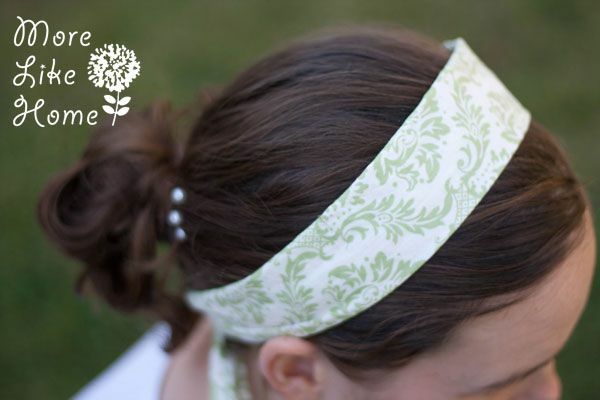 Which is a super bonus for me because apparently I have a weird head-shape and have never found an elastic headband that will stay on my head! 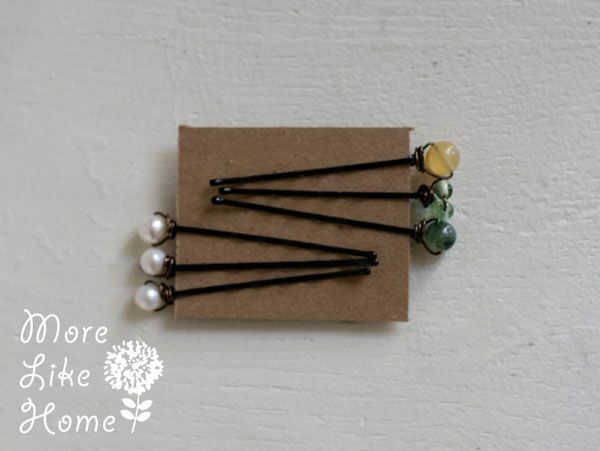 The bobby pins are a fun way to add a little color and sparkle to your day. 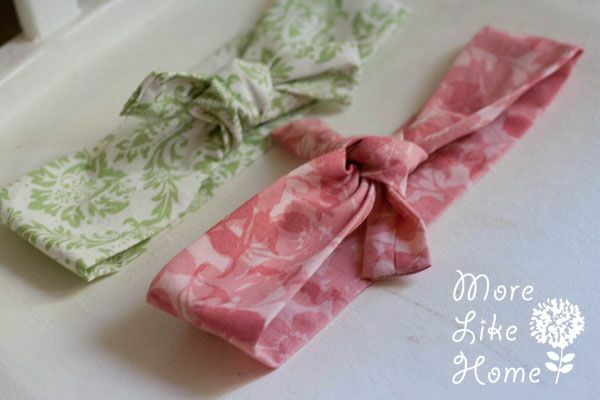 Make a bunch to go with any outfit! 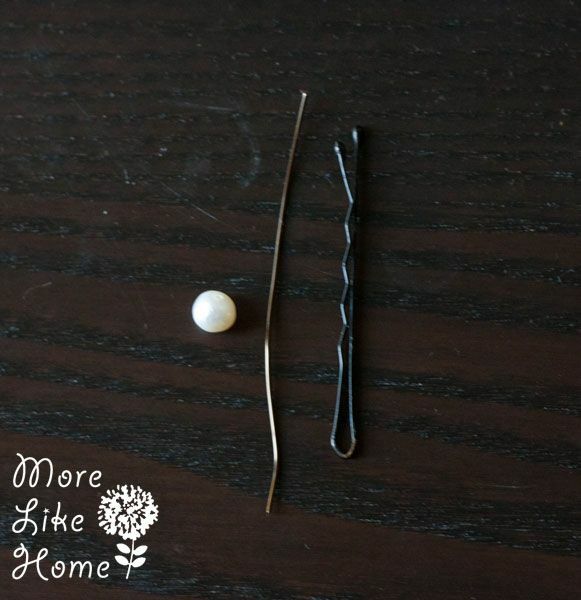 I like to use them alone to pull my hair back, or stick them around a bun just for pretty! 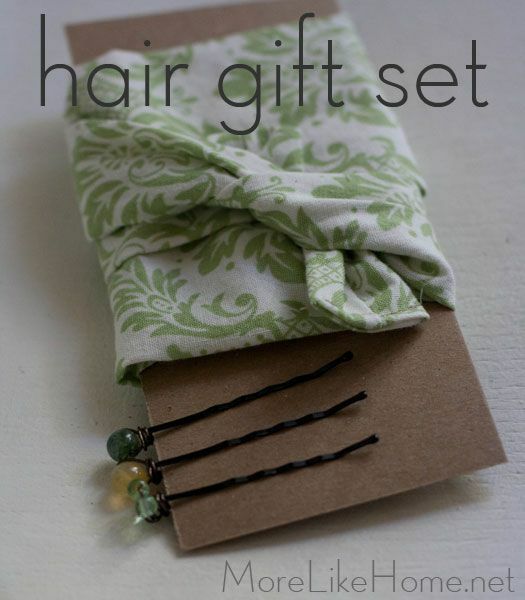 You can mix and match the pieces to make some really cute little gift sets. Ready to get started? 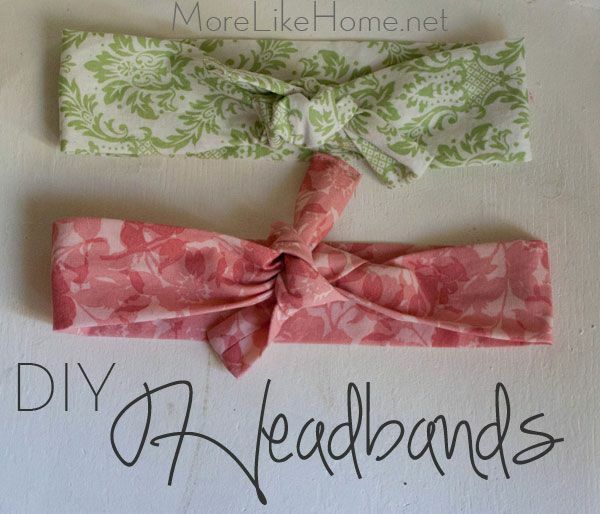 Let's make the headbands first. 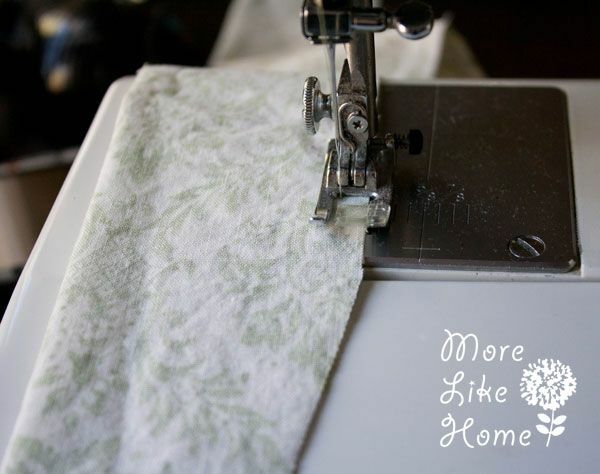 Start by prewashing and drying the fabric . 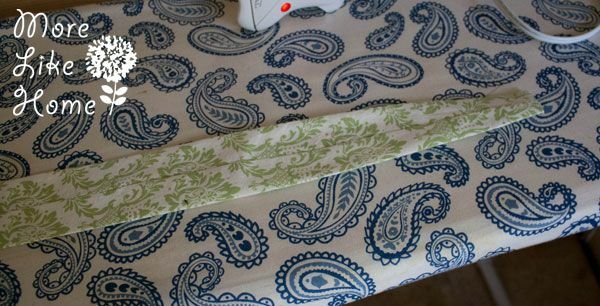 Then cut out a piece 4.5 x 32" (you can make it longer if you want longer tails). 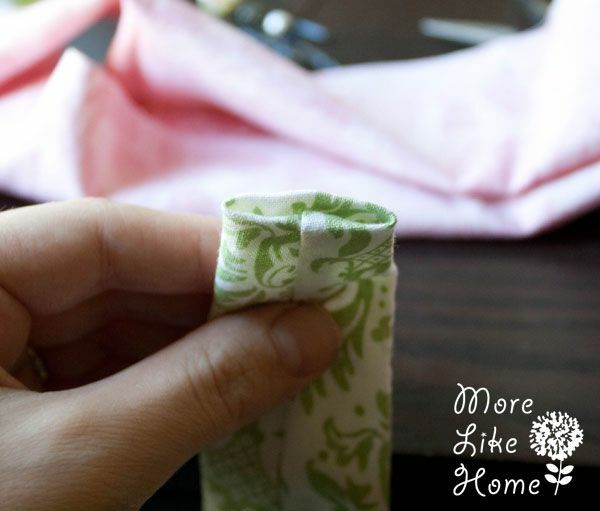 Then fold the fabric in half lengthwise with right sides together. DON'T press it, we don't want a crease. You can pin it if you want, but I just winged it. 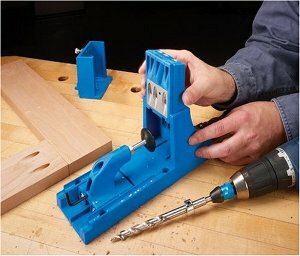 Now you can taper the ends. 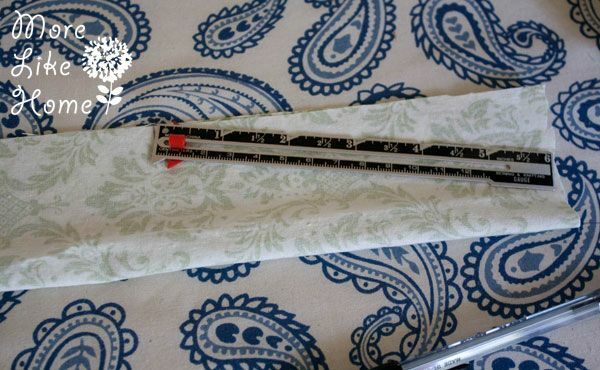 With the strip laying so the folded edge is toward you (at the bottom in the pics) measure in 6" on the top edge and make a mark. Then make a mark at about the center of the short end. Draw a line connecting the two marks. 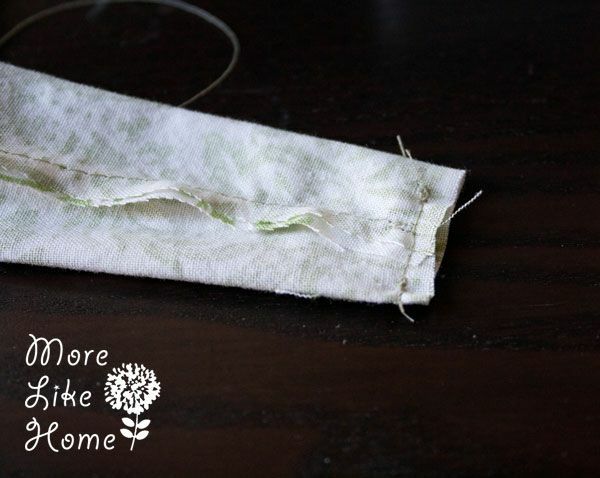 Now sew along the top edge (not the folded edge) and the tapers, but leave the short ends open. 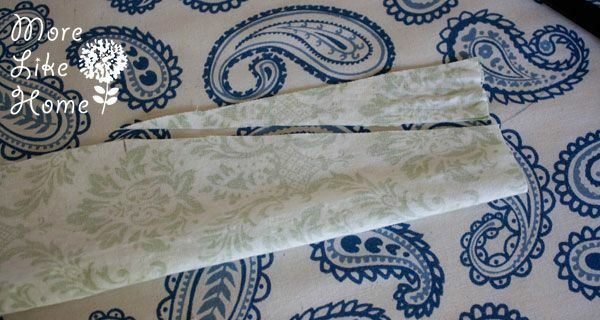 On one end flatten the headband so the seam is on top. 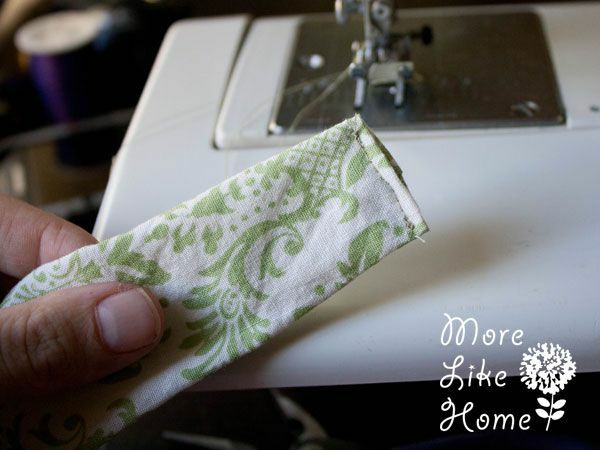 Stitch across the flattened end (leave the other end open for turning). Flip the headband right side out. 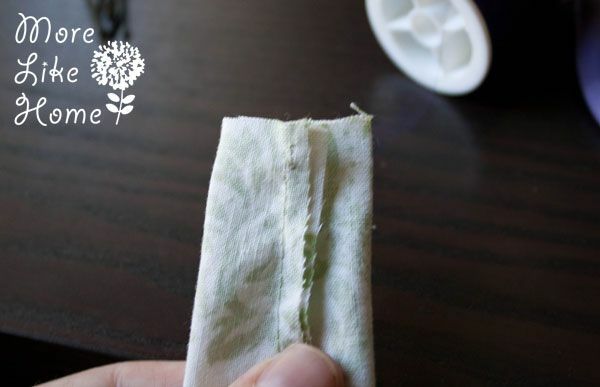 Lay it flat so that the seam is on top like in the pic below (you'll flip it over when you wear it so the seam is hidden on the bottom). Press the headband flat. 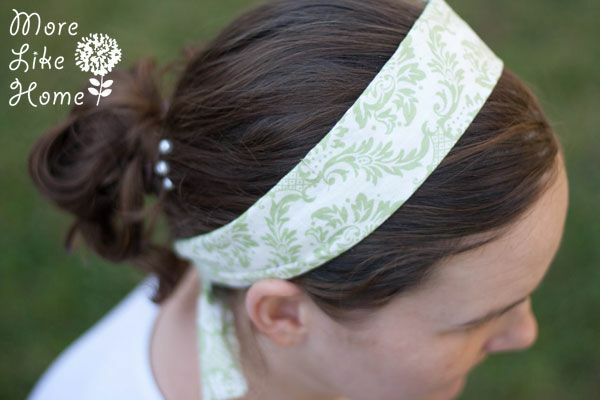 Now on the open end of the headband tuck in the raw ends about 1/4". Stitch right along the end to close it up. 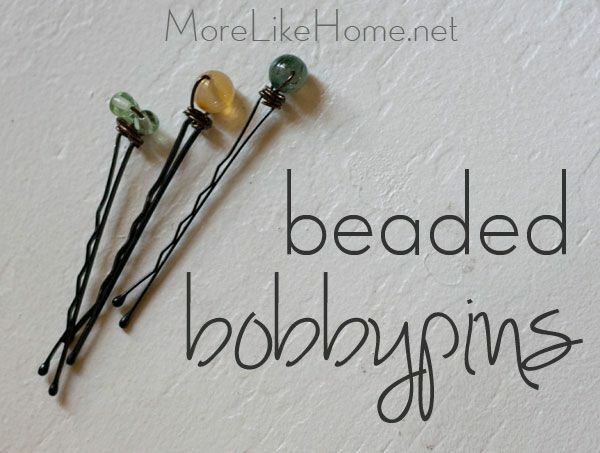 Now let's make the bobby pins. 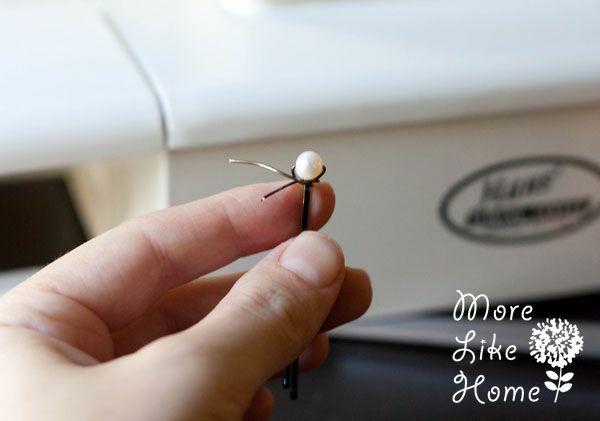 Start by putting the bead in the center of the wire and bending the ends down so it can't escape. 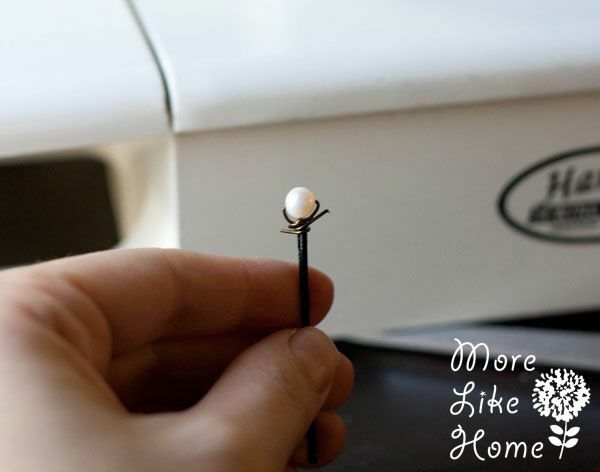 Take that, bead! 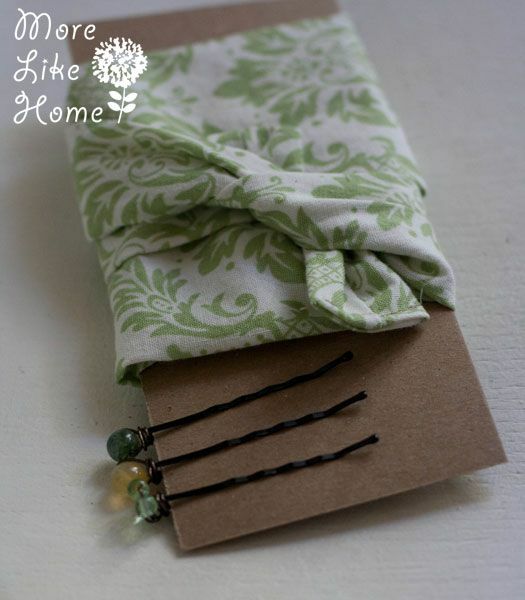 Place this on the end of the bobby pin and wrap both ends of the wire under the end of the bobby pin. Just keep wrapping as tight as you can. 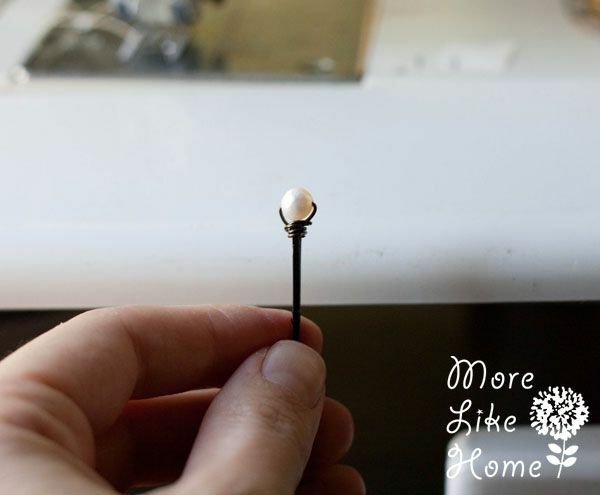 You want to lock the bead on and make sure it's not going to slide down the pin. 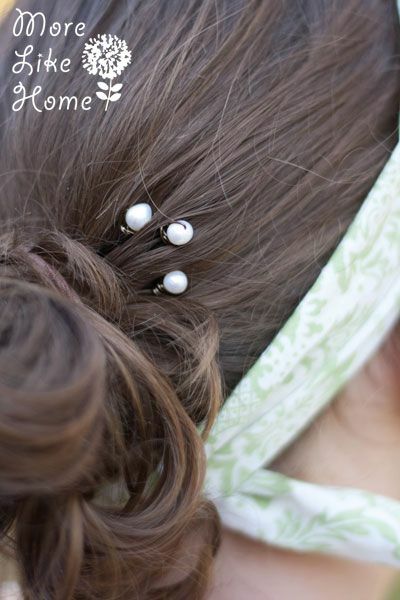 Make sure the ends get tucked down really flat so they won't scratch your head. I used jewelry pliers for this part. 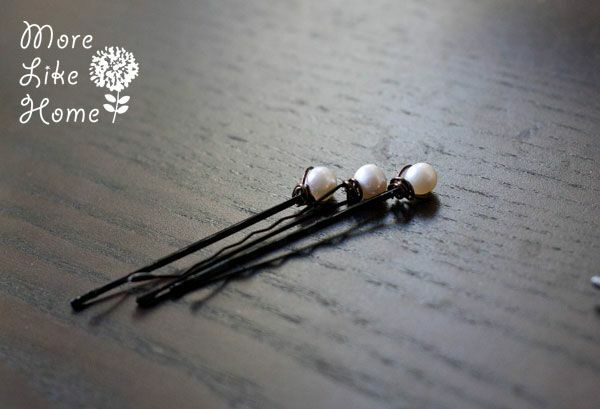 I made this one the same way but used three small beads instead of one larger bead (and a little extra wire). And you're done! 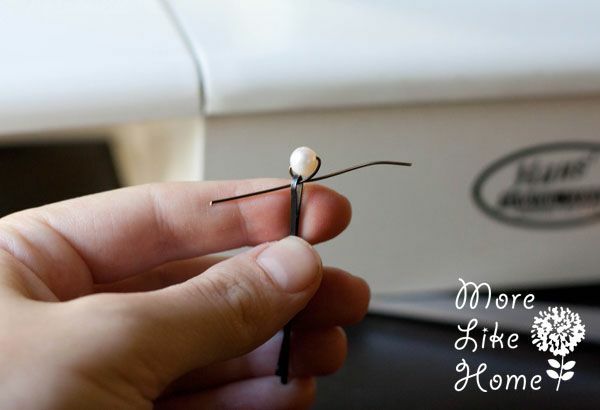 You can make a pearl set for fancy occasions. Or mix up a few pretty beads for a fun everyday kind of set. Now you can get these bad boys ready for gifting! 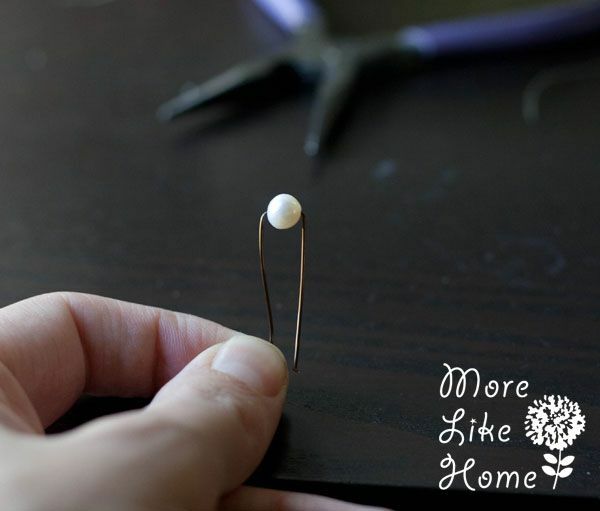 You can cut a small piece of brown cardstock and slip a couple sets of pins on it. 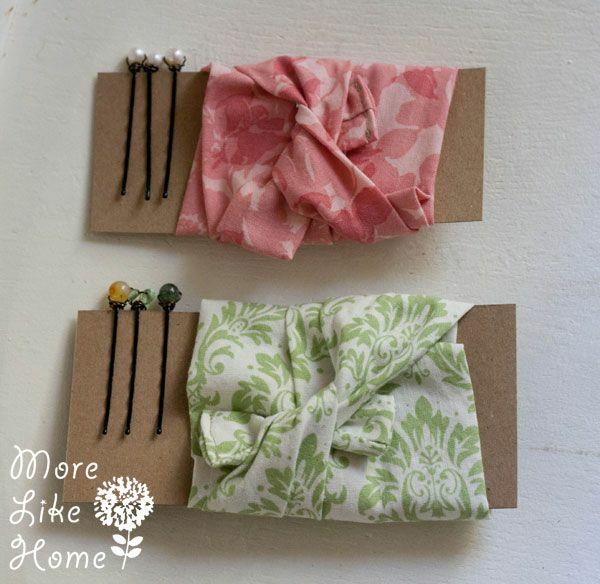 Or you can use a wider piece of cardstock and pair a set of bobby pins with a headband. 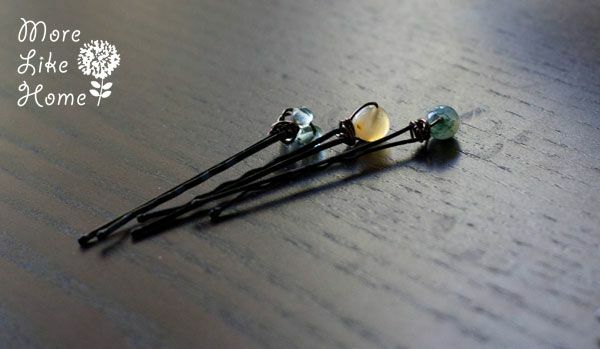 Or... you know... you can just stick them in your hair and call it a day. 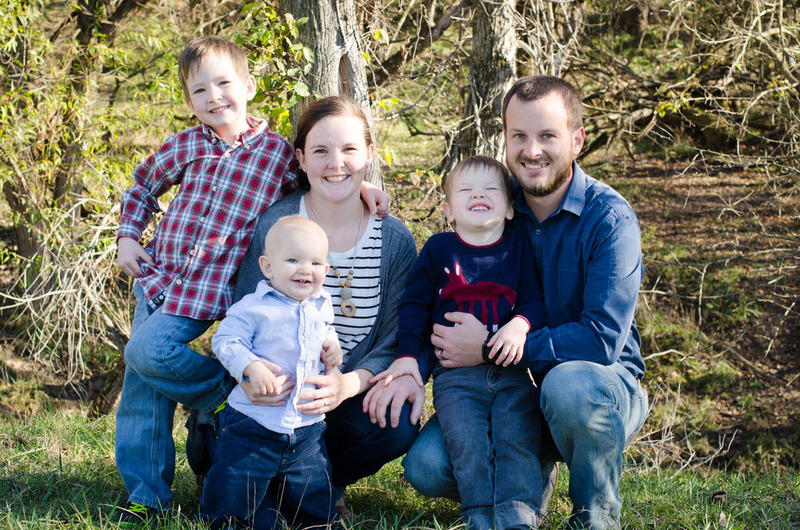 Did I mention they are super cute with a bun? Even a messy my-children-were-up-half-the-night bun. Just throw on a headband and BOOM you're looking so cute no one at the grocery store will even notice you forgot to change out of your jammie pants. You're welcome. Now go make a set for all the other tired mommy's you know. 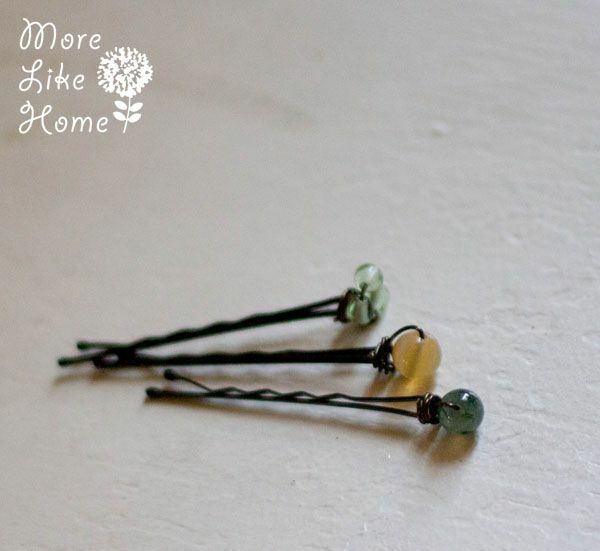 Of course it will cost a little more if you have to buy things new, but even so you can get a TON of bobby pins for almost nothing. 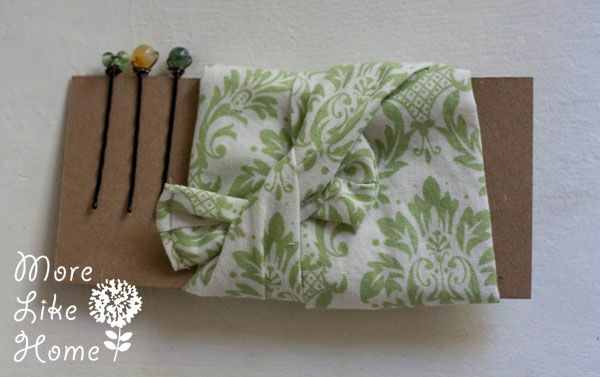 What kind of accessories do you like to make? Do elastic headbands pop off your head too or is it just me??? Love this! These would make great stocking stuffers for all of the girls in our family.